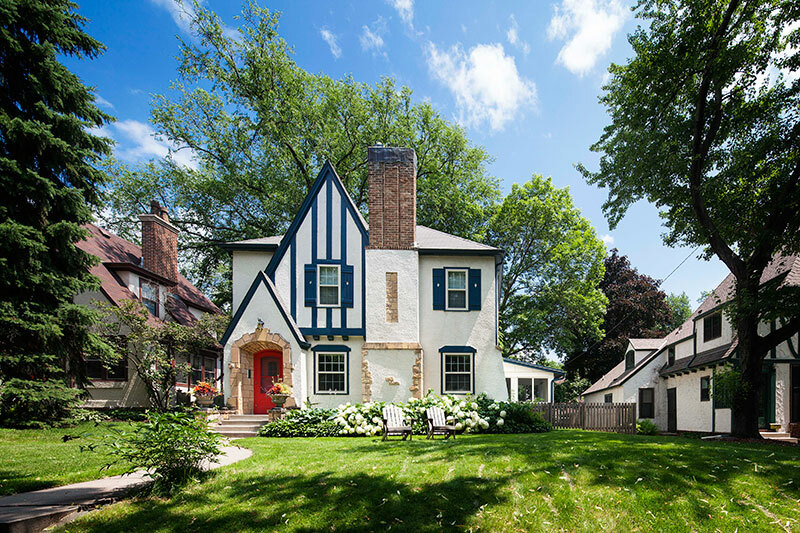 This 1928 South Minneapolis Tudor ranked high in character and location, but significantly lacked space, storage, and function; first and foremost in the kitchen. 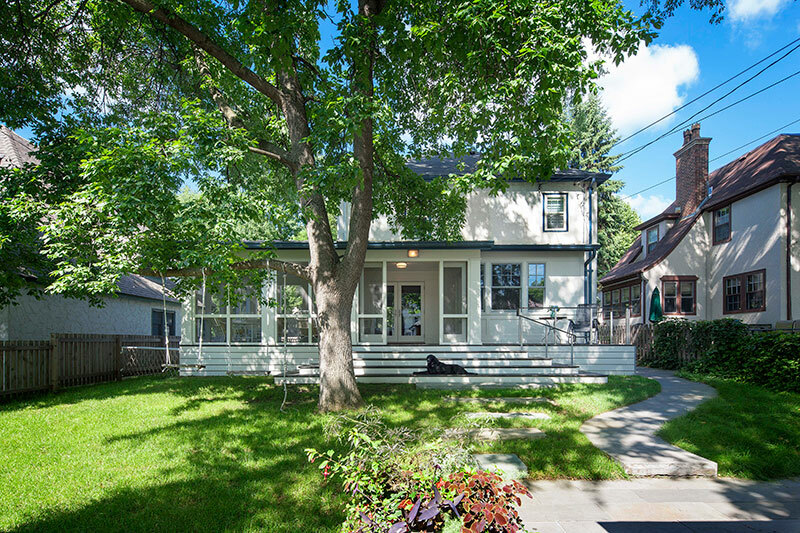 The owners considered a move but determined a better option was to reimagine and remodel. 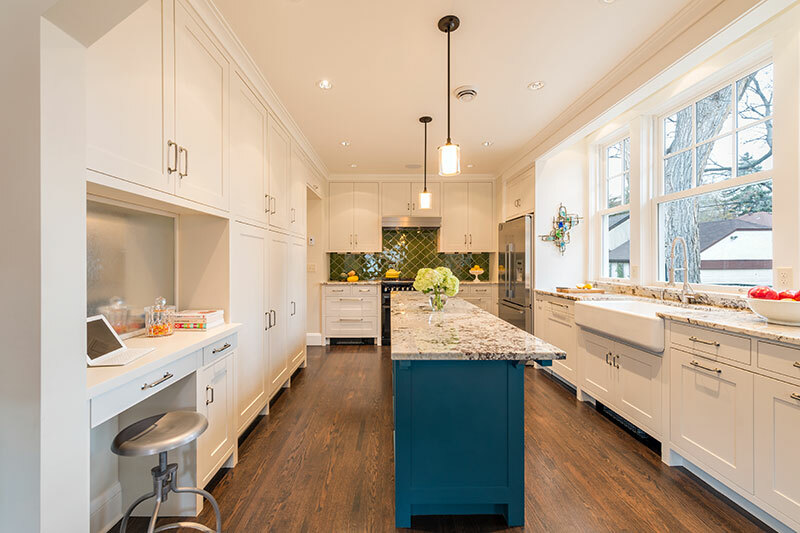 By extending the kitchen out two feet as part of a 300-square foot addition, and removing an interior wall, we created an inviting new kitchen and dining area. 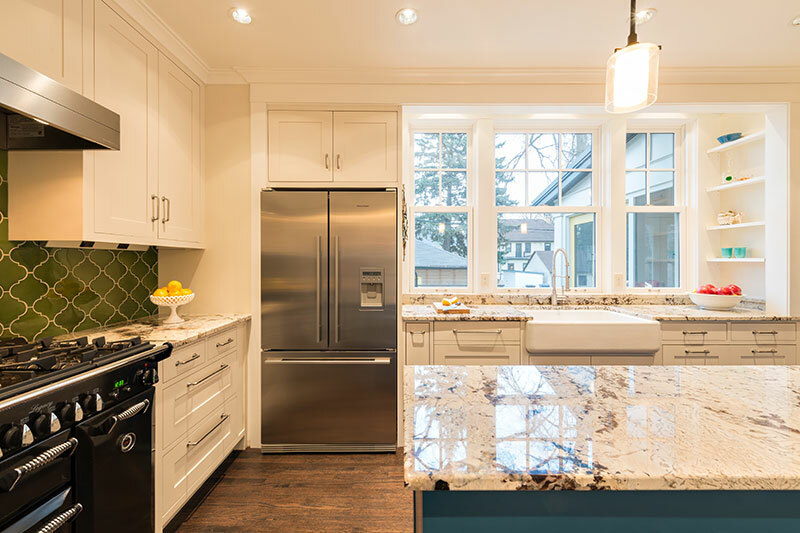 Custom white cabinets brought a bright and airy feel, while custom tile and countertops, new fixtures, and modern appliances gave this central space a sophisticated sensibility. 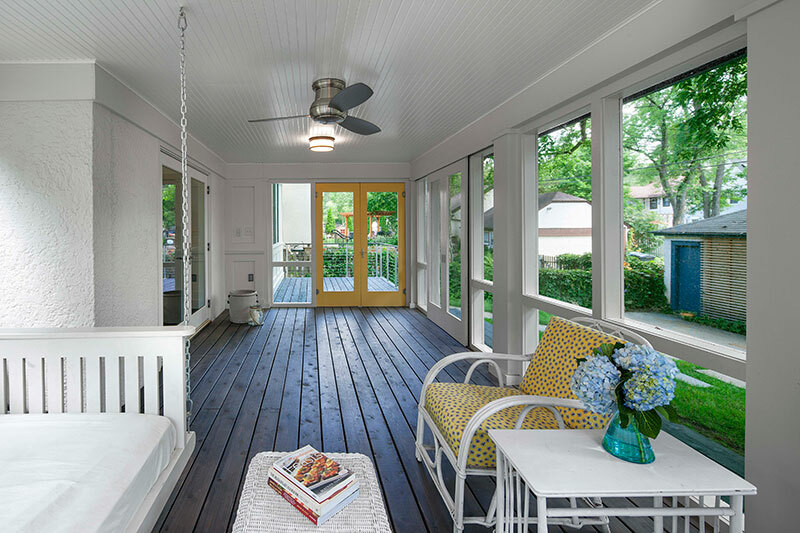 With an expanded floor plan, improved functionality, sleek storage, and a new, adjacent screened-in porch, the homeowners are embracing this welcoming space to cook, entertain, relax, and refresh.